Spoilers ahead for Star Wars: The Last Jedi. Turn around now if you've yet to see the movie, and don't want to know any details going in. The biggest question on everyone's minds leaving Star Wars: The Force Awakens, after how will Luke Skywalker react to being found (the answer to which was equal parts shocking and funny), was: who are Rey's parents? The truth about Rey's parentage – delivered in The Last Jedi, out Friday worldwide – in that they were nobody is the best route writer-director Rian Johnson could have taken. Instead of sticking with the traditional hero portrait of being born into a well-known last name aka the "Chosen One", The Last Jedi tosses that old ideology out of the window in lieu of a much more powerful message: it's the nobodies of the world who will rise from their circumstances to keep the evil at bay, and it also reinforces the film's internal debate of letting the past die, not giving it too much due. It’s why the last shot of The Last Jedi doesn't close on the face of a character we know, but a little Force-sensitive boy we briefly met, barely getting by sweeping the floor and dreaming of a day when he can use his broom to overthrow his oppressors. It's due to new hero Rose Tico who passes a message of hope with her Resistance ring, which in turn connects into the crucial lesson maverick pilot Poe Dameron learned from Vice Admiral Holdo. The reason this band of Resistance fighters – which has dwindled from some 400, to just the handful that can fit in the Millennium Falcon – needs to stay alive is because they're "the spark that will light the fire that will burn the First Order down". They're the ones who stood up to the First Order and took out Starkiller Base, the superweapon from the previous film that was the downfall of the New Republic and the resulting loss of billions of lives. This is why I called The Last Jedi a brave step that helps Star Wars to evolve as a franchise. Post Breaking Bad, and Game of Thrones, these films had to grow in new directions if they wanted to deliver more than just visual spectacle, and thanks to the efforts of Johnson, we have that. It was obvious before release that Johnson had done a great job with his Star Wars episode, given Disney's confidence to hand him the reins to a whole new trilogy without asking for a single script. And having seen The Last Jedi twice, it's clear that the 43-year-old is a talent to keep track of. Johnson's script is full of brilliant moments right off the bat, delivering exciting space battles, personal confrontations, and a touch of levity to the proceedings. Luke facing Ren towards the end is one of the smartest parts of The Last Jedi, and the oh-so clever twist – that he's projecting himself across the galaxy – works because as fans, we've wanted this since The Force Awakens. And owing to the emotional weight of the scene, all the signs Johnson drops escape you, be it that the blue lightsaber was destroyed by Rey and Kylo Ren, or when Poe Dameron wonders how the hell Luke got in here. Twists alone don't make films great. It's the small touches that lift them to the next level, and are rewarding on repeated viewings. With The Last Jedi, Johnson shows he's capable of delivering those, akin to how Christopher Nolan did with The Dark Knight. But he's also better in some regards than Nolan, namely in the way he conducts action and infuses comedy into his script and direction. Star Wars has always given its droids a lot of personality, and some of The Last Jedi's most fun moments come from that, with Johnson making great use of BB-8. I loved BB-8 in The Force Awakens, and his heroics in the sequel – shooting casino chips and then blowing on his "gun" like a Western hero, or controlling a First Order variant of an AT-ST – take the tiny spherical droid to another level. The way R2-D2 turns its head towards Luke, and flashes its lights and beeps say so much without uttering a single word. One of the finest examples on the action front is the co-op lightsaber fight with Rey and Kylo Ren taking on Snoke's Elite Praetorian Guard. That scene has it all: it starts with a table-setting pause shot, delivers on fight choreography, combines that with ingenious moments which bring out the intelligence of our protagonists (the camera hold on Kylo Ren catching and turning on Rey's lightsaber is genius), and even settles the debate of who's better trained between the two. Holdo ripping through the First Order dreadnought at light-speed is another cool moment, and it's executed in a way that is bound to wow you, from its visual depiction to the handling of sound, which comes seconds after the destruction, in line with the scientific truths about the speed of light and sound. Great sound design and mixing is crucial to the experience of any film, which is a mix of visuals and sound. Thanks to John Williams, Star Wars has always benefited from some terrific background scores, be it the rousing call for the heroes, the dread and ominous tone reserved for the villains, or the new pieces constructed for Rey, Poe Dameron, and even Rose Tico. But knowing when and how to properly use them is essential, and The Last Jedi does that. Interestingly, Johnson's narrative faults are akin to Nolan's too. The Last Jedi requires the characters to be in limbo for much of the running time, but the way it's done makes it one of the weakest points of the film. It makes the First Order look stupid and seemingly out of resources. Surely the all-powerful Snoke could've asked another ship to simply warp in from the front, instead of foolishly chasing them for two days straight and waiting for their fuel reserves to run out. Elsewhere, the futuristic world of Star Wars feels like it's stuck with baffling old tech. For one, people have to stay behind to pilot ships (ever heard of auto-pilot? ), or have to go hunting for a remote that can release the bombs (why not just put another button in the cockpit?). But because The Last Jedi is so enjoyable elsewhere, tackles important themes, and delivers strong messages, it's easy to forgive some of its faults. Johnson has done a terrific job with The Last Jedi, which serves as a great platform and a challenge for the returning talents of J.J. Abrams, who kicked things off with The Force Awakens in 2015 and is now co-writing and directing Episode IX. 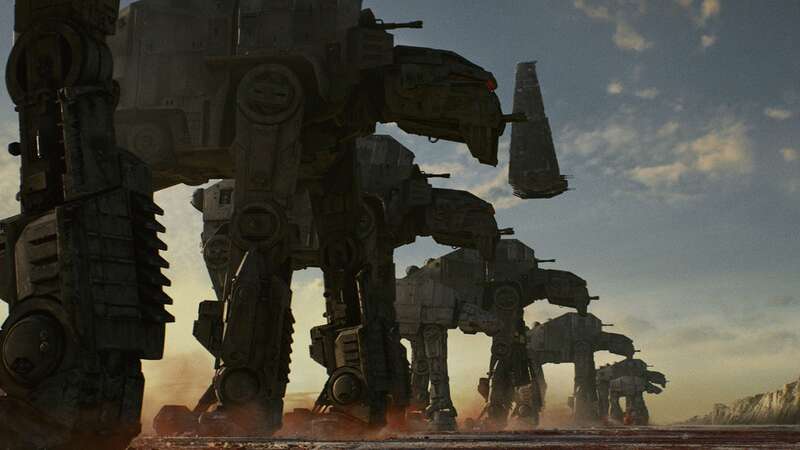 Abrams had the tougher task of introducing us to Rey and other new characters, with Johnson getting the benefit of having something to build on, and Abrams now must close out the story in a satisfying fashion, the toughest task of all. Lucasfilm's plan with the sequel trilogy was to usher in a new era of characters, while honouring the old favourites in separate films. The Force Awakens did that for Han Solo, The Last Jedi brought Luke Skywalker back into the centrefold, and Episode IX was meant to be for Leia Organa. Carrie Fisher's death last year has changed that, unfortunately. 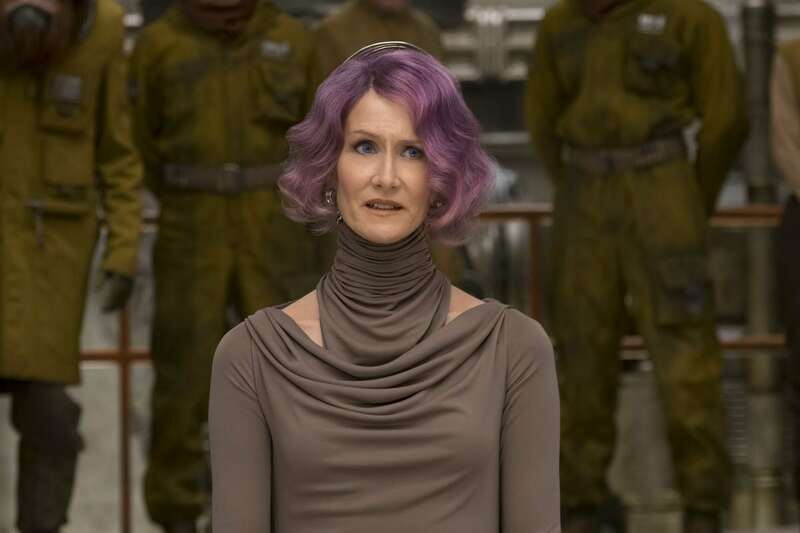 Disney has ruled out using visual effects to recreate Fisher, which means she'll need to remain off-screen in the concluding chapter of this story. One of the likely routes could be to let her die in the films too, of old age or an ailment off-screen. Put that info in the opening text crawl of Episode IX, and use that to spur the Resistance, the downtrodden, and the nobodies to help them stand up to the First Order. It would also be the perfect way to build on Johnson's dual message in The Last Jedi.